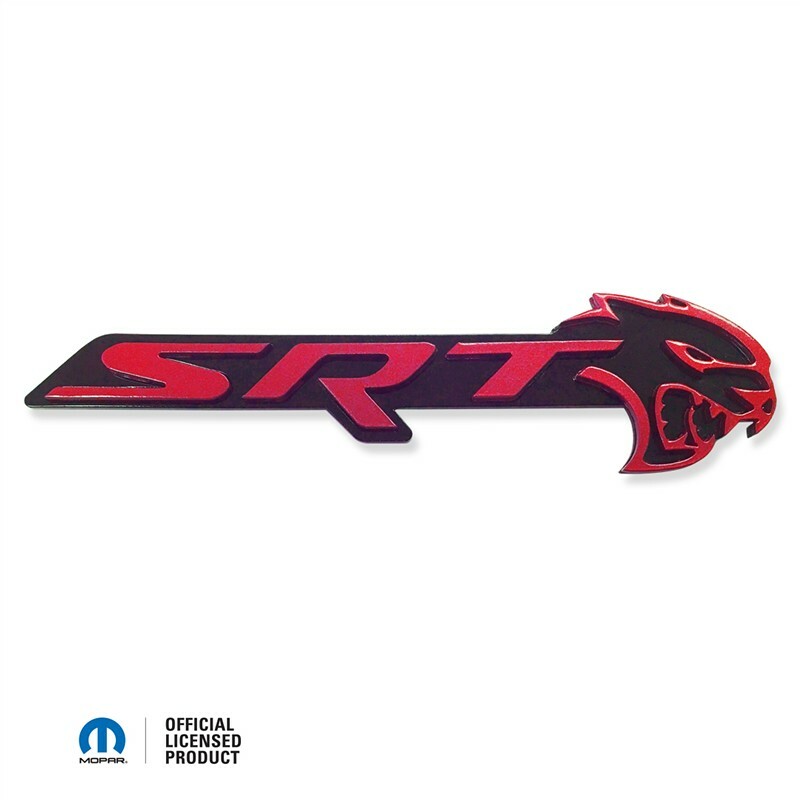 Challenger or Charger SRT Hellcat Acrylic Front Grill Badge - Professionally color-matched painted to your color choice. No need to take apart your grill, this badge installs in seconds with 2 sided 3M automotive tape by simply sticking it right over the top of the original ABS plastic factory badge! Made in the U.S.A. by American Brother Designs and an Official Mopar Licensed product. Hot seller here at SX. Customize your ride with this custom acrylic badge.